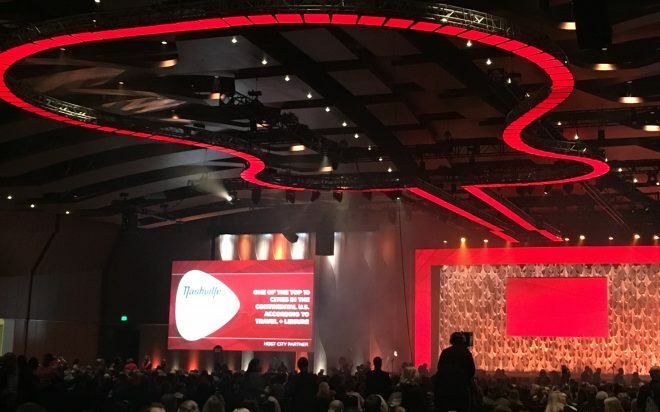 At this year’s PCMA Convening Leaders Annual Conference, the focus on engagement, technology and constant innovation were evident in every aspect of the meeting. One of the frequently mentioned topics in our industry is how to influence people of varying age groups from Millennials to Boomers. At PCMA Convening Leaders, Michael Tchong, founder of Ubercool Innovation, talked about a new ageless category he coined called the “control-freak generation,” powered by companies like Netflix and Uber. These companies give their customers tools to control their experiences and help manage their time. ETS has been working on technology that does just this, and we were excited to launch the latest version of the ETS-Next-Shuttle app during the meeting. The app puts more control in the hands of meeting attendees, allowing them to plan their days more efficiently since they know when the next bus is picking them up from their hotel. This web-based app works similarly to ride sharing apps. Riders can see where the next bus is in real time, and when it will arrive to pick them up. Behind the scenes, the same GPS-powered technology is creating efficiencies for our transportation operations team, with tools to track numbers of riders and manage routes on the fly. We’ve also heard quite a bit about attention spans getting shorter and shorter. But Nicholas Thompson, editor-in-chief at WIRED, offered a different point of view during his talk at the meeting. He believes that viewers are engaging with more and more complex content, citing magazines with long-form articles like the New Yorker and unusually long TV shows like Game of Thrones. It makes sense that attention spans are ultimately driven by quality of content, delivery channel and how effective it is at engaging. It’s not just about length of programming. While convention attendees are often glued to their devices when they ride hotel shuttle buses, they are also a captive audience in that environment. With some innovative thinking, it’s not hard to engage them with some relevant video content, whether long or short form, that can play on the bus monitors during their rides to and from meeting venues. There were so many examples of unique engagement techniques and innovation throughout the meeting, and we particularly enjoyed the “Future of Face-to-Face” events where attendees participated in facilitated conversations with experts focused on the latest technology solutions, in addition to center stage presentations highlighting outstanding innovations. 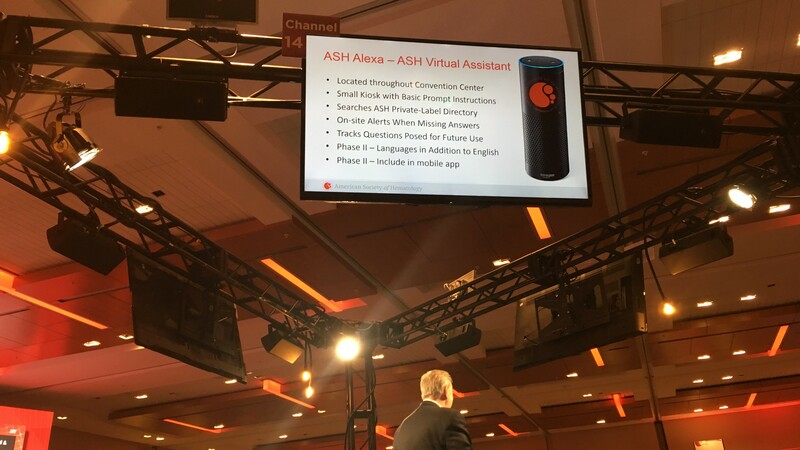 One presentation that stood out was the use of the Amazon Echo, otherwise known as “Alexa” at the American Society of Hematology’s recent annual meeting to engage and assist attendees with general questions about the meeting, while building a database of attendee questions for use at future meetings. At ETS we continue to try to think out of the box as we launch new technology, produce video content or simply expand upon our shuttle graphics offerings, which is a continually sought after means of engagement for suppliers as they look for communication channels that are impactful and drive prospects to take action. Planners may not be quick to connect transportation with engagement and innovation, but we think transportation can be used in a variety of ways to help organizations be innovative and to drive engagement between organizations, suppliers and attendees. For suppliers like us, Convening Leaders was the ideal place to ask ourselves some key questions about how we can continue to be prepared for the future demands of clients and event attendees. We think we are on the right track, but continue to keep our ears to the ground listening for new ways that we help elevate event experiences. Leave a comment below or reach out to us and tell us what innovative ways you’ll be engaging your attendees this year. Bonus points if it’s transportation-related!